We're a team that shares a common goal of connecting investors and companies to make their visions a reality. Mekar (PT Mekar Investama Sampoerna) is fully supported by the Putera Sampoerna Foundation. Mekar aims to improve access to finance to small businesses that have a positive economic and social impact in Indonesia. We do this by connecting funders with businesses needing finance. To enable this we partner closely with (non-bank) financial institutions which are present all over Indonesia. These institutions find, select and pre-hind the businesses. Mekar selects the least risky borrowers for wealthier Indonesians to finance This then frees up the capital of the institutions so that more businesses can be financed. https://mekar.id is the webplatform that Mekar uses for this service. 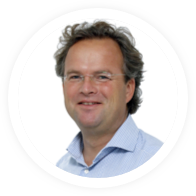 Thierry Sanders is CEO of Mekar. He was appointed in March 2014 and has been leading Mekar as it transforms and grow to become one of Indonesia's most prominent P2P lending platforms. 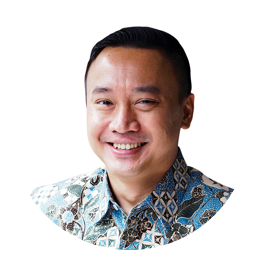 He also serves as a member of Putera Sampoerna Foundation Advisory Board and is a Director and Founder of bidX, a web-platform that matches SMEs in developing countries with investors. Prior to joining Mekar, he held a variety of roles including serving as an advisor to the Global Entrepreneurship Programme of US President Obama at U.S. Department of State. Pandu Kristy has more than 10 years of experience in financial services, having held senior leadership positions in one of Indonesia's private banks. He was appointed as COO of Mekar in December 2016 after serving as Operations Manager. Currently, he is also serving as the sole member of Mekar's Board of Commissioner. His previous roles include Corporate Operations Manager at PT Bank Sinarmas, where he designed and led the implementation of operations performance management, which were later adopted by the bank. 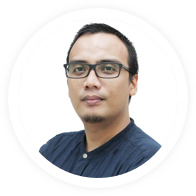 Dandi Rusli Putra is a passionate technologist with more than 12 years of experience in the finance and banking industry. He joined Mekar in November 2015 as Lead Software Engineer before attaining the position of CTO in March 2017. 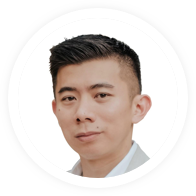 He is responsible for Mekar's platform development. Dandi started his career as a Developer for Core Banking Application at PT Bank Negara Indonesia. His past roles include Assistant Vice President at Maybank Malaysia, Senior Technical Consultant at IBM, and IT Manager at PT Bank CIMB Niaga. Randy has expertise in marketing, sales, and collection with proficiency in consumer-finance and micro-lending for more than 12 years. He has proficiency in financial services, especially in consumer finance and microlending. He was appointed as CCO of Mekar in January 2017. Randy started his career as a Management Trainee at PT Sinarmas Multifinance in 2006. He rose to become Marketing and Sales Director at PT Sinarmas Hana Finance, a joint venture between PT Sinarmas Multifinance and Hana Capital - South Korea. His past roles include Regional Sales Manager for several key areas in Indonesia, Project Coordinator, and Branch Manager. Small business owners in Indonesia have often faced difficulties in accessing conventional financing sources. On the other hand, there is a growing number of middle class people who want to invest in an easy, quick, safe and profitable way. Mekar connects the two through technology. Mekar is a FinTech lending company that provides online small loans investment opportunities using a peer-to-peer system. Mekar.id is the web platform used by Mekar to offer all the available loans to you, the future investors. You can reap an average of 10% profit annually and have your initial investment guaranteed by up to 100 percent by our lending partners. Mekar means 'To Blossom' in Bahasa Indonesia. Mekar (PT Mekar Investama Sampoerna) was founded in 2010. Mekar aims to improve access to finance to micro, small and medium-sized businesses that have a positive economic and social impact in Indonesia. We do this by connecting funders with businesses needing finance. In doing this, we partner closely with (non-bank) financial institutions with operations in many parts of Indonesia. Our logo represents a four way partnership between small businesses (green), funders (blue), agents (red) and Mekar staff and technology (yellow). We rely on collaborative partnership to make our model work. Lending FinTechs are mushrooming in Indonesia. But Mekar is different because, at Mekar, your investment will finance and have a real impact on small business and, therefore, bring about positive changes to Indonesia. Small businesses that are listed as borrowers in Mekar are those that have positive societal and environmental impacts. Also, all loans managed by Mekar are productive loans that are used to grow business. Your money will be used to purchase machines, raw materials or to expand the scope of a small business—things that would mean the creation of new jobs. The loans offered in Mekar.id come from many parts of Indonesia. This is because Mekar has partnered with financial institutions with offices in more than 10 provinces in the country. We call them our lending partners. Mekar's lending partners are banks with local branches in the regions and also non-bank financial institutions such as cooperatives that interact directly with people in the regions. Mekar essentially is a marketplace where business owners who need financing and investors who can lend them their funds to finance the businesses meet. This system is also known as peer-to-peer (P2P) lending. P2P FinTechs like Mekar have proven capable of helping small businesses grow and sustaining them in Indonesia's informal economic sector. Businesses that have been overlooked by banks because they are considered as not bankable now have the opportunity to thrive as Mekar provides them with access to investors who can finance their businesses. 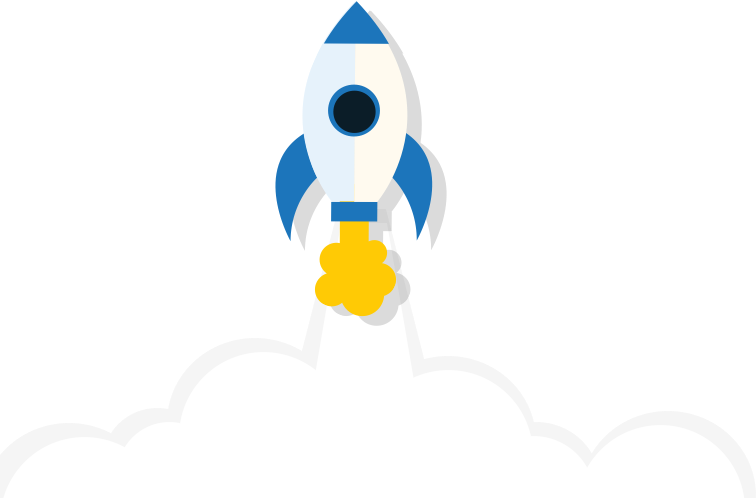 As an online marketplace, Mekar facilitates peer-to-peer lending activities using a revolutionary technology that enables investors to gain complete information about the loans on offer before making investment decisions. On Mekar's web, you as an investor can access information about the borrowers' profiles and the location of their businesses, the loan amount and its expected yield. You can then decide which loan you wish to fund that suits your preference and the size of your pockets. This gives you full control of your investment choices. We are committed to transparency in both the potential returns and the risks of your investment. We take risk mitigation measures in order to protect our investors from loan defaults. We use a set of stringent selection criteria for both borrowers and lending partners, including requiring borrowers to not have a history of bad credit and requiring lending partners to have an NPL rate lower than 1 percent.